Hair Straightener and Comb Only $2.59 + FREE Shipping! You are here: Home / Great Deals / Amazon Deals / Hair Straightener and Comb Only $2.59 + FREE Shipping! Looking for a way to straighten your hair while you dry it? 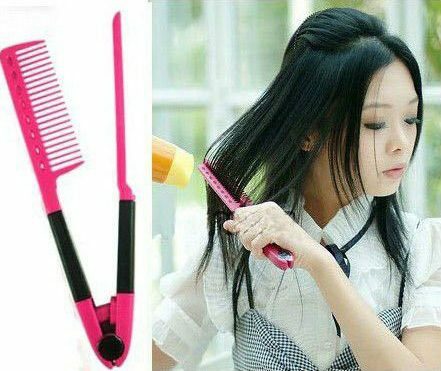 Grab this super handy Hair Straightener and Comb for just $2.59 + FREE shipping! Just run the comb through your hair with the straightener bar while you dry it to make your hair nice and straight!